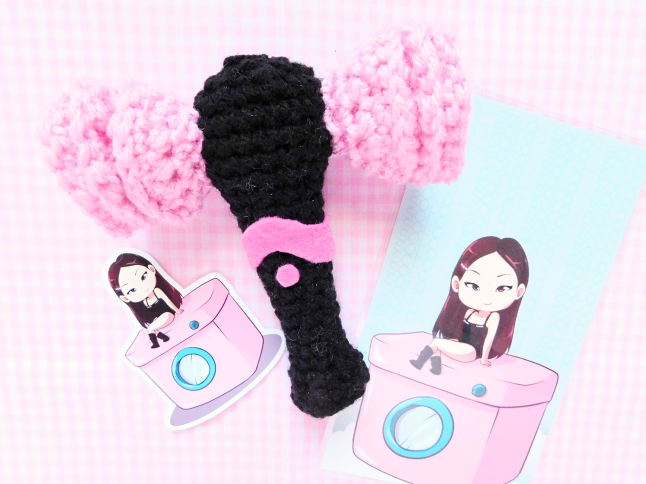 MooeyAndFriends: BLACKPINK Fan Stick Plush Giveaway! BLACKPINK in your area! In honor of BlackPink's comeback, I am throwing a BlackPink fan stick plush! If you haven't watched their newest music video click here, it's amazing! 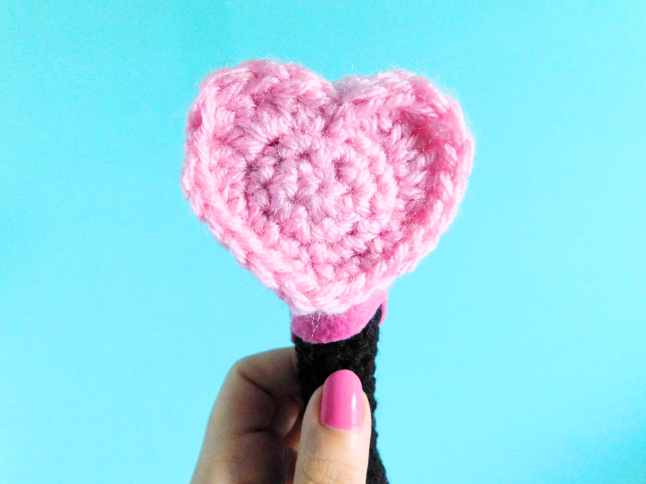 Remember if you don't win you can always make you own BlackPink fan stick (crochet pattern here). Make sure you read and follow all the rules. Good luck! The winner gets their own mini crocheted BlackPink fan stick made by me. You can even choose to turn the plush into a keychain if you like. I will also toss in some extra BlackPink goodies! Follow the mandatory entries, if you don't have an Instagram or Twitter account let me know in your comment. Make sure you use an email that you check regularly. You must stay followed to my accounts until the end of the giveaway to be qualified to win. If not, you will be disqualified and I will choose someone else. Giveaway is international and will be open for one month. After the giveaway is over I will be randomly picking a winner using a random generator and will contact the winner soon after. The winner has one week to respond, if they don't I will pick another winner. Good luck!